Gage, A.D., Leslie, H.H., Bitton, A., Jerome, J.G., Thermidor, R., Joseph, J.P. and Kruk, M.E., 2017. 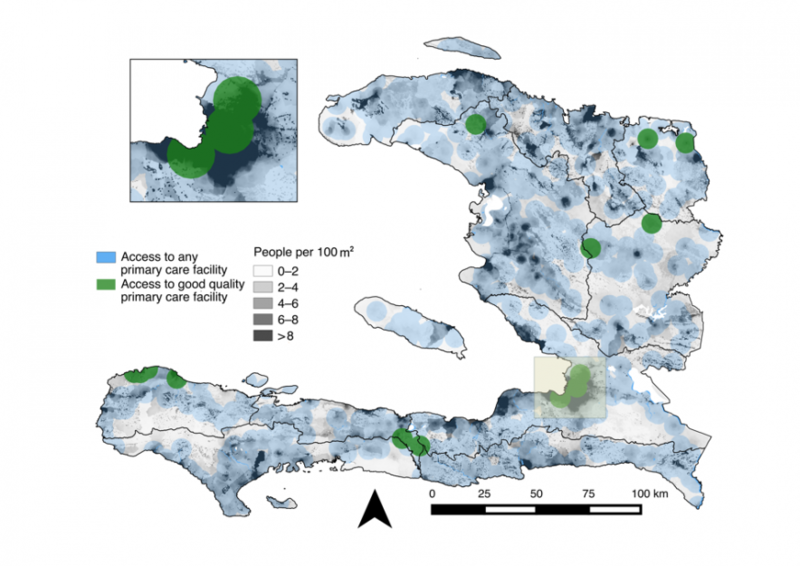 Assessing the quality of primary care in Haiti. Bulletin of the World Health Organization, 95(3), p.182. High quality primary health care systems are critical to improving health systems worldwide, yet there are few measures for assessing the quality of the primary care. We adopted the Primary Health Care Performance Initiative’s framework on primary care to define a measure for assessing quality. Using a 2013 health facility census in Haiti, we measured the quality of care across four domains – accessible care, effective service delivery, management and organization and primary care functions – as well as overall. Access to primary care in Haiti was good, with 91% of the population living within 5 kilometers of a primary care facility. However, the quality of the care was lacking; for example, only 2% of facilities gathered client feedback, and at the average facility only 8% of providers told the caregiver the diagnosis during a sick child visit. Consequently, only 23% of the population—and just 5% of the rural population—lived within 5 kilometers of facility providing good quality primary care, as shown in the map. This approach can be used to diagnose gaps in primary care quality and to identify disparities in access to quality care.